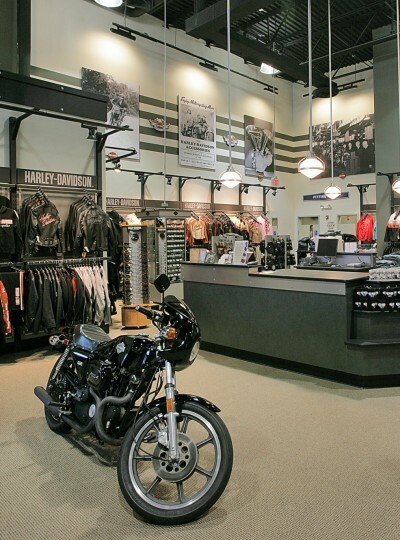 A new Harley-Davidson dealership shows off a mix of contemporary and traditional design themes. 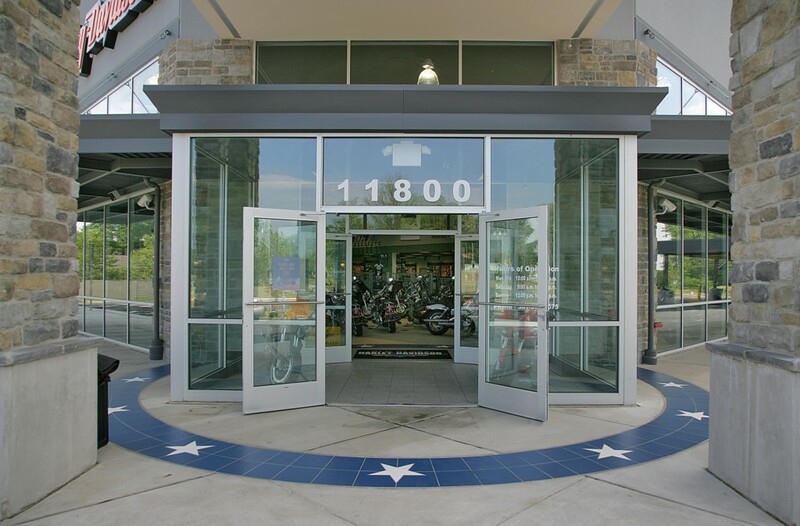 The exterior stone detailing mimics the existing Baltimore Washington Parkway’s blue stone walls. 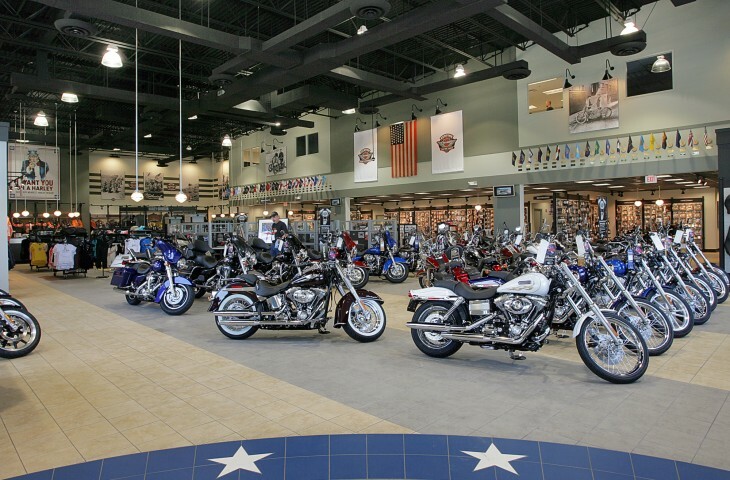 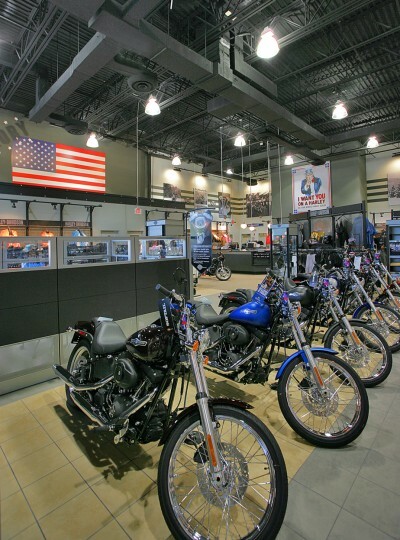 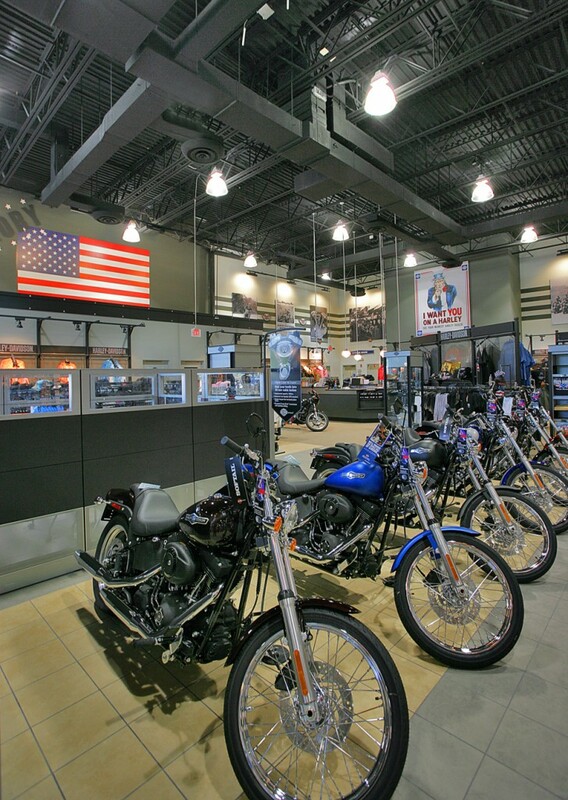 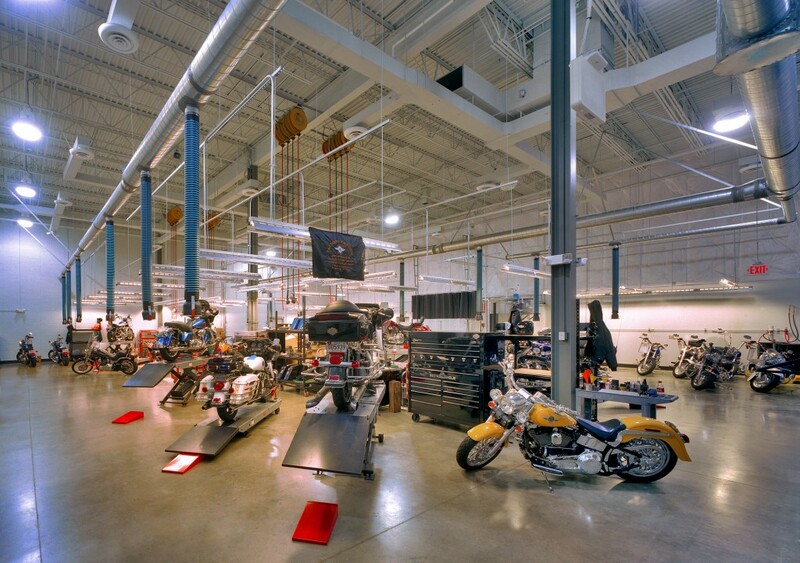 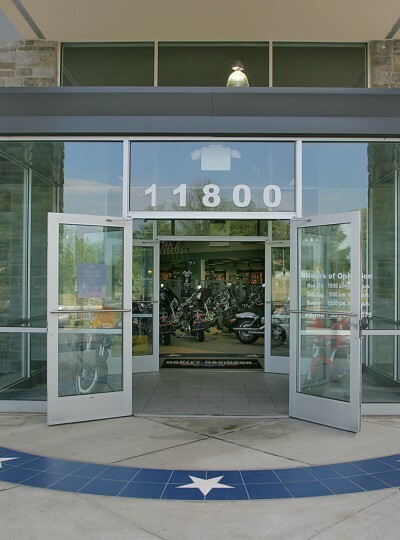 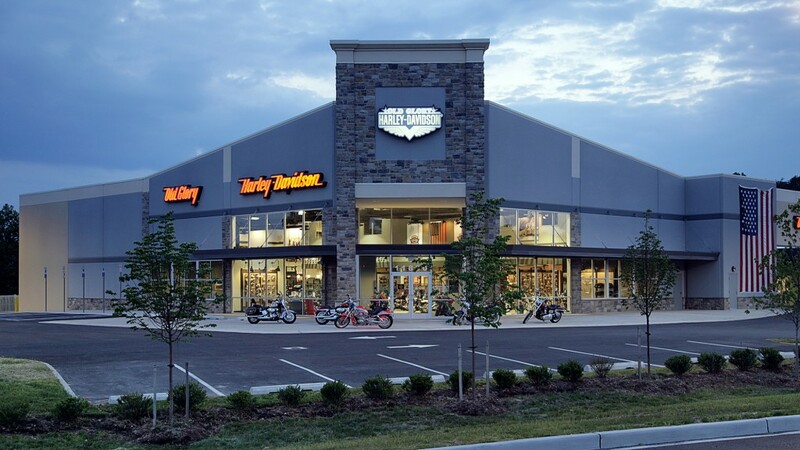 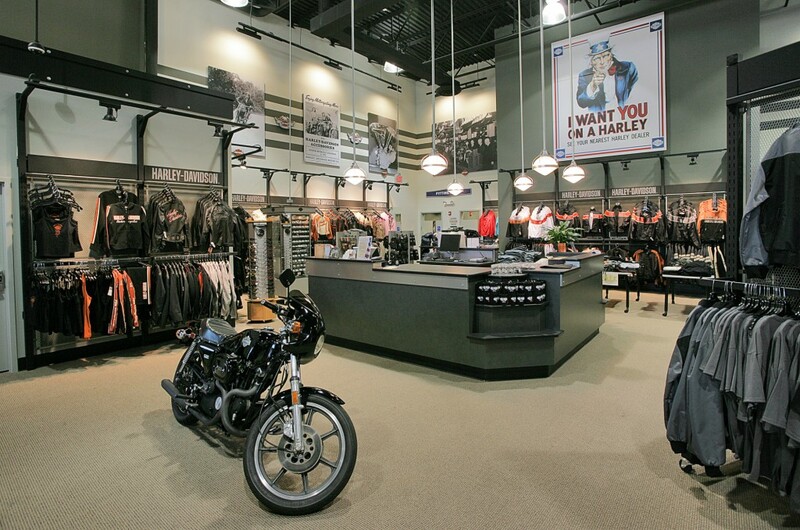 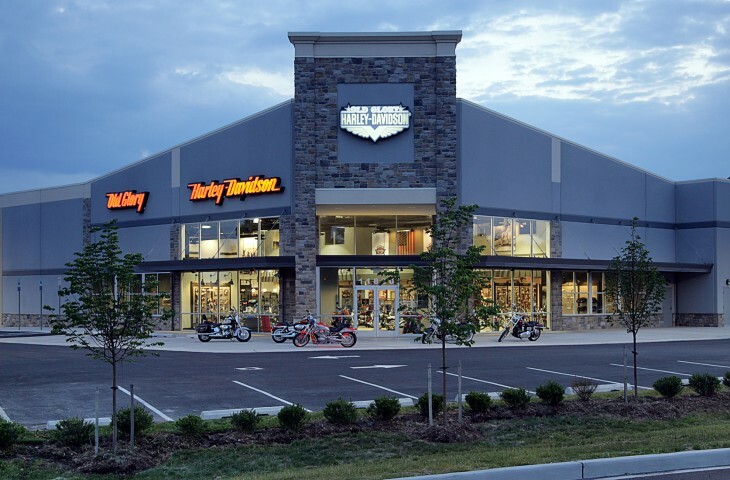 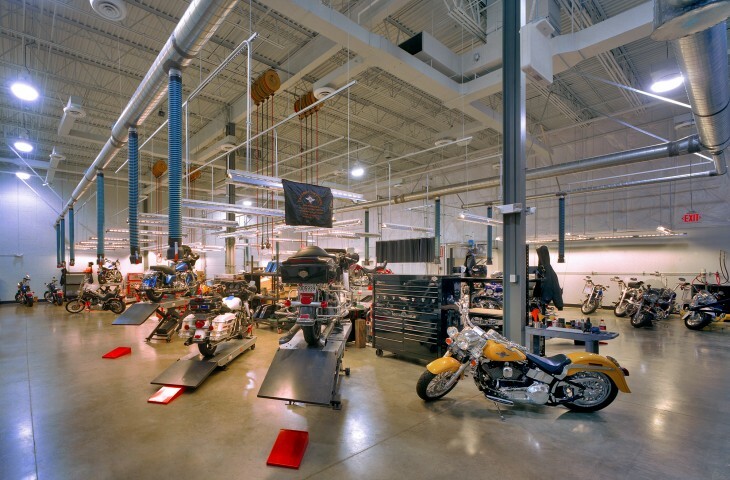 The interior features ample showroom space and colors that compliment the Harley-Davidson retail brand.